The UNIVERSAL MEASURING SYSTEM S 525 is intended for replacement measuring systems of spectrometers that are equipped with photomultipliers. S 525 consists of input circuits, the microcontroller to operate spectrometer and to connect to a personal computer and FPGA which performs the measurements and sends the results to microcontroller. 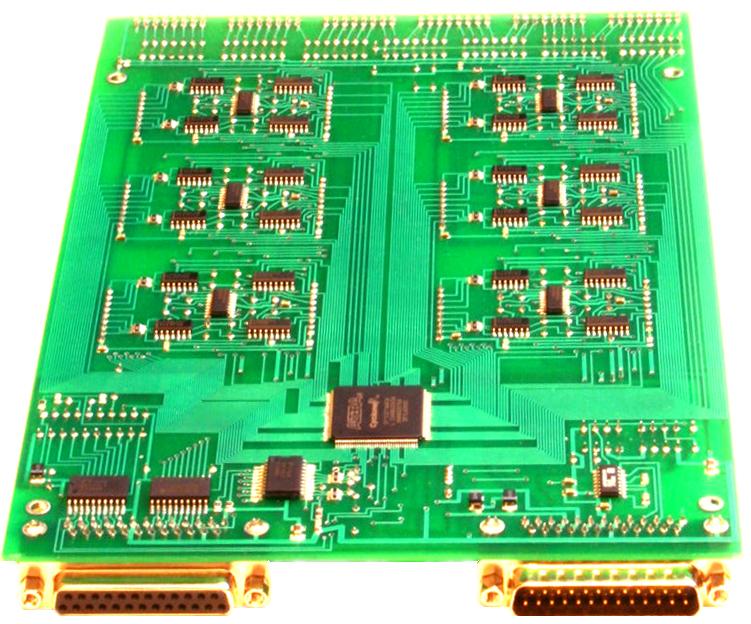 FPGA of the series "Cyclone" of� "ALTERA" organizes 47 independent 30 bit analog-to-digital converters that can not overflow. Therefore there is no necessity to switch the power supply of photomultiplier and wait for stabilization. S525 has high accuracy and reliability of measurements because of direct conversion of photocurrent to digital information without amplifiers. Changing of parameters of S 525 is much less then changing of parameters of photomultipliers, therefore recalibration of spectrometer can be made rarely. The system S 525 is made by components of the next firms: Altera, Atmtel, Analog Devices, Texas Instruments, National Semiconductor, Fairchild, Bourns (all USA) and WIMA (Germany). It is located on the single printed-circuit-board and supplied by own tiny power supply. S 525 can be built in spectrometer or outside of it (if is delivered in the case by special order). S 525 can be connected to photomultipliers and to relays of argon valves and to control contacts of source through connectors PLD-8 and DB-25. S 525 can be easily adjusted to any spectrometer by software SESA. Precision of measurements is supervised by the control signal. The program can control and rewrite the ROM for configure FPGA. The file of ROM content is applied. The system is supplied with spare microchips, including the programmed microcontroller. The next generation of system S 525 is the system S 527. Click image to call resolution 1024 x 768.